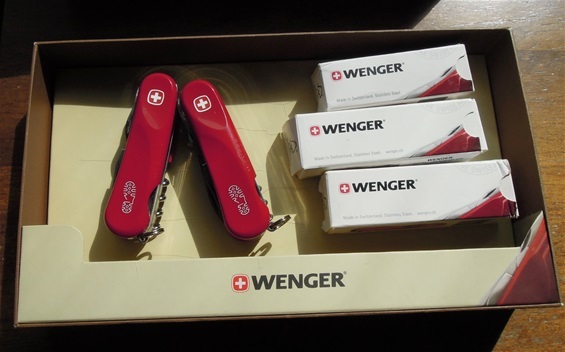 Here are some very interesting knives that can tell a nice Wenger product story. The icons on the scales and the name are different today. The model with a boot print and evolution scales is called Backpacker 12. 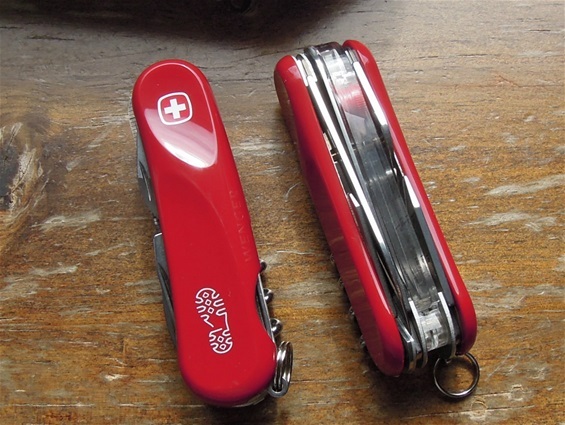 The two models with the Backpacker icon or selection of functions is called or known as the pathfinder. It is not a problem finding information about this on the internet. 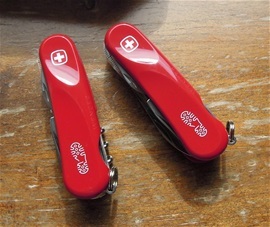 The tool selection is the same on the knives but there are many changes or modifications done. 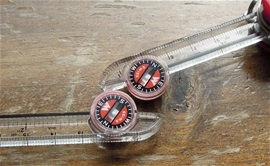 The compass or orienting tool is interesting and it is a function you can find on some Wenger knives even today. There are also variations on the models with the boot print on. 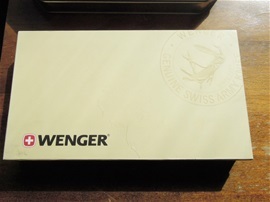 It is extra interesting for me when looking on these three knives because it does show the development from Wenger in the time period 1980s-today. The one with the boot print is called the Backpacker 12 like mentioned and people should have in mind any models that are called backpacker or have icons related to them. We know from the development in the late 1970s about the history there and the use of icons on the scales to identify with your interest. In my mind the backpacker name and the use of this icon does show some on the philosophy by Wenger itself and for people`s interest together. It is a bit extra interesting with the names on these knives and the development with new icons as well. So we have an evolution on the new model also there. There are many changes on the boot print knife on the functions, springs, construction and the design in general. For people that like to research development on the products then then i would recommend these three. Well i do know what this box was used for. It was for leather wallets and similar products. Inside are two Backpacker 12 Evolution SAKs from Wenger + some empty other boxes. 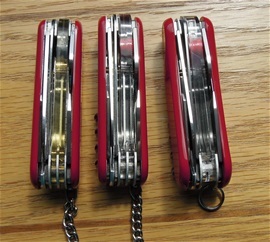 I will use the two Backpacker SAKs to look for production variations. 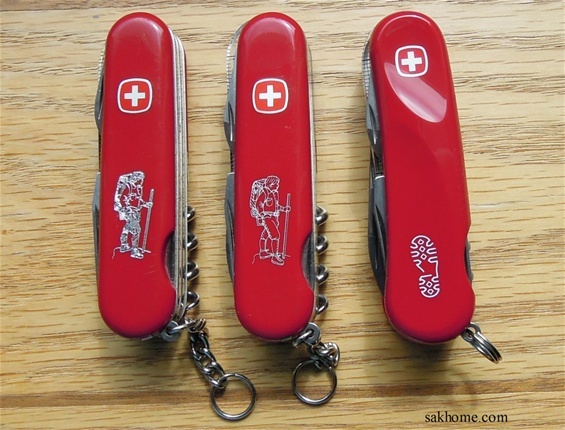 It is relieving to look at the Wenger Evolution Backpacker SAKs to see the evolution handle scales and the evolution of the complete Swiss Army Knife design. It is an echo of the history. It is a time window that flows with legacy. Looking at the functions I can see the differences from the production that I like to imagine can be the adjustment of machines and production. 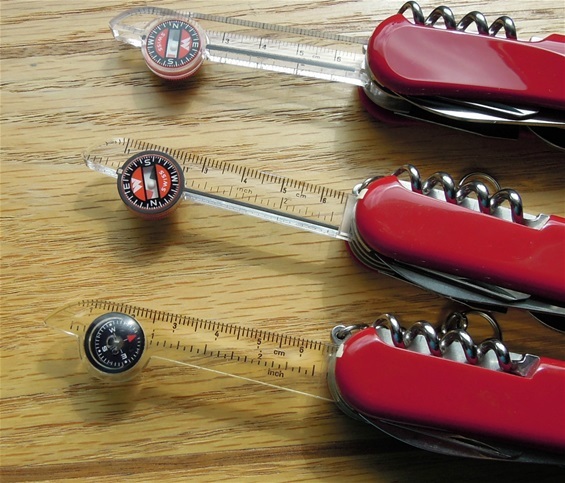 Small differences that are interesting to study can bring difficulties to understand at first. Later on they can bring the answer in various forms and play. Wenger are quality SAKs and it is an honor to have such a hobby.